Hyundai is getting in the CES spirit a couple of days through an announcement that within Q1 of this year, Hyundai owners will be able to connect to and control their cars using an app installed on Android Wear smartwatches. The app, which is called Blue Link, allows car owners to remote start, lock, and unlock doors of their car, as well as find it in a crowded parking lot. You can do all of this through the app by tapping on options or by using voice commands. The app will be available within Q1 on Google Play and will work with Samsung, Motorola, Sony, and LG watches that run Android Wear. 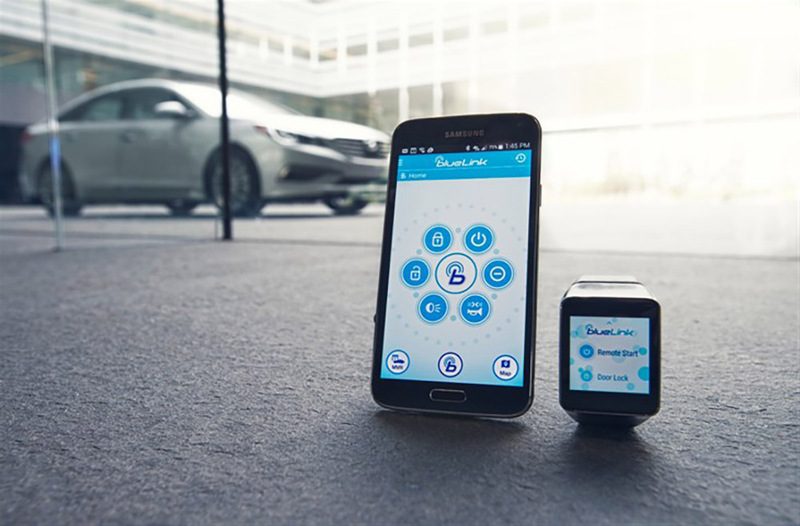 According to the press release, the Blue Link smartwatch app works with first and next generation Blue Link equipped Hyundai models, which date back to 2012. The Blue Link app will be on display at a pre-CES event called PepCom, as well as at Hyundai’s booth at CES.